We guess that the time when we’d be able to create any piece of interior by ourselves, at home, by just pushing a button is just around the corner. How can it be possible? 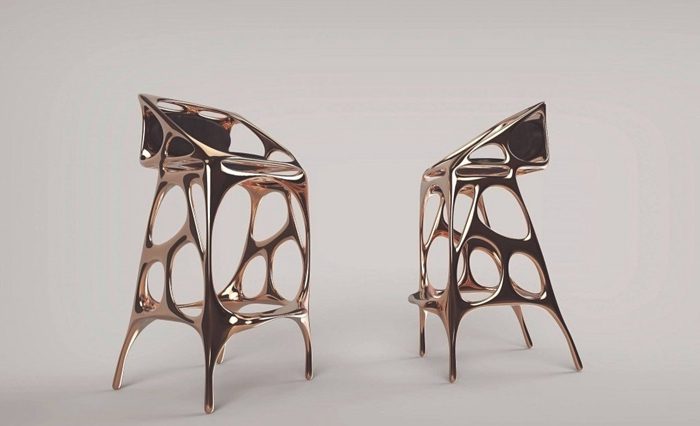 And how may the furniture of the future look like? Today we selected 5 most charming ideas that are 100% impressive and amazing. No matter how wonderfully a piece of furniture is manufactured, it should be as a matter of priority comfortable. We on HomeKlondike believe that this statement is true and our point of view is shared by a Dutch designer Lilian van Daal. She thoroughly studied innovative technologies of 3D printing and as she was doing it, an idea of a new arm-chair came to her mind. It’s claimed to be one of the most comfortable arm-chairs on the globe. And it’s all because it can take shape of a human body. As it usually happens, best ideas of design are just a reflection of processes we watch in the wild nature. And Lilian’s creation is not an exception. 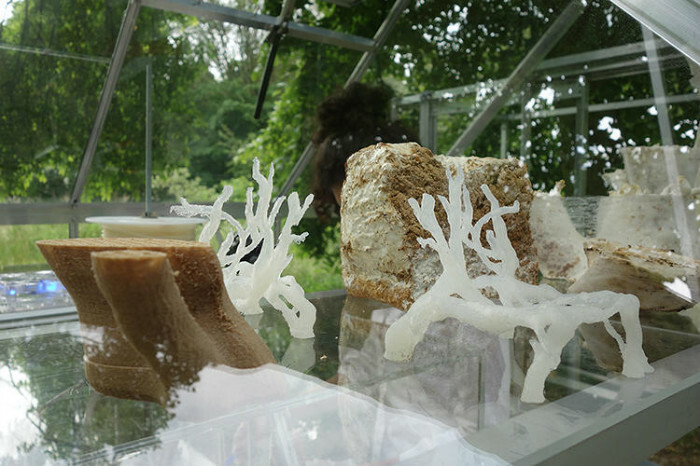 She drew inspiration from watching marine organisms with spongy bodies. And though the multi-layered arm-chair looks pretty fragile, it’s very solid and durable actually. 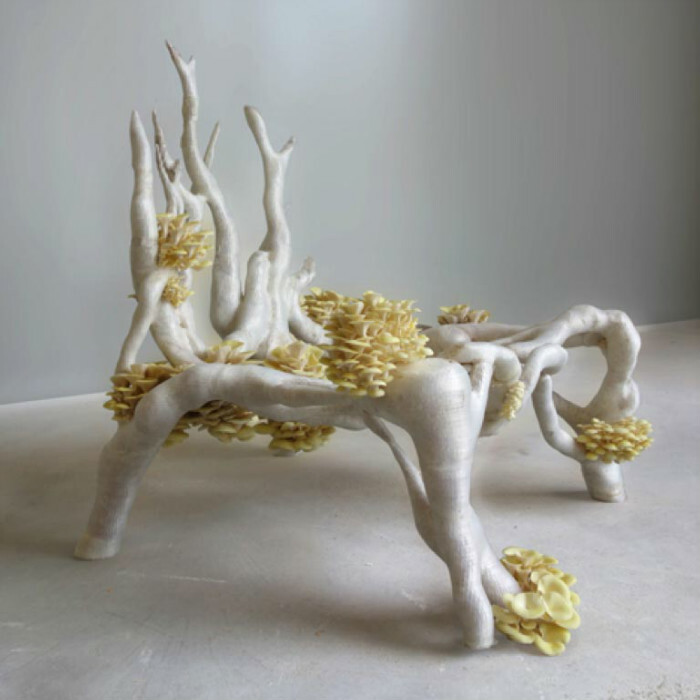 It may seem unbelievable, but today furniture can be made even from…living organisms. How? Eric Klarenbeek from the Netherlands found an answer to this question. He invented a chair composed of organic materials: straw, water and mycelium – the vegetative part of fungus and mushrooms. The latter is, by the way, the main ingredient. Mycelium fibers are shaped like tree branches and create absolutely incredible ornaments. 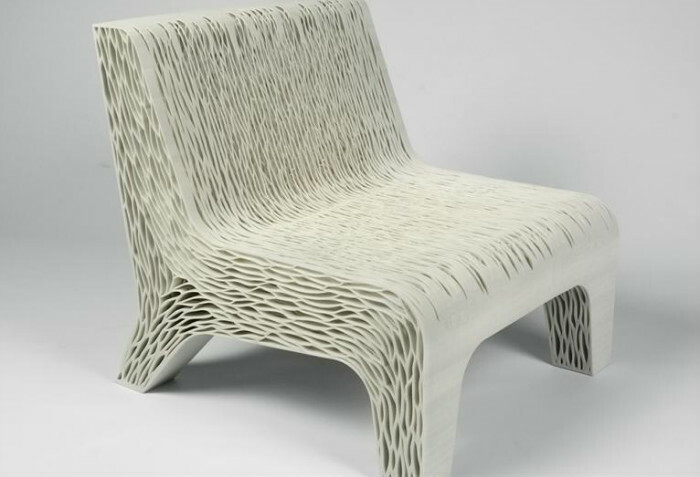 But the most interesting thing about this eco-chair is that after being printed vegetative parts of mushrooms keep growing! 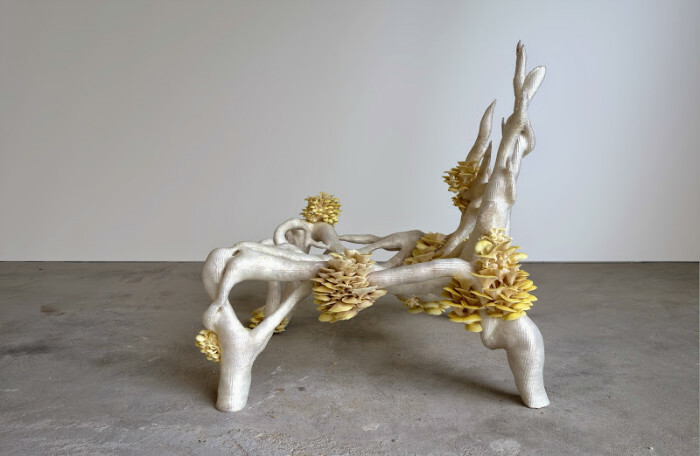 To emphasize the natural beauty of the materials the chair was decorated with a few mushroom spawns. And to preserve the fanciful design it was coated with bio-plastics. The producer claims that this chair is pretty comfortable to sit on. In skillful hands of modern designers innovative technologies of 3D printing become a tool for creating absolutely perfect, flawless things. A nice proof to this fact is fancifully-shaped bronze furniture made by the Ventury Paris Company from France. 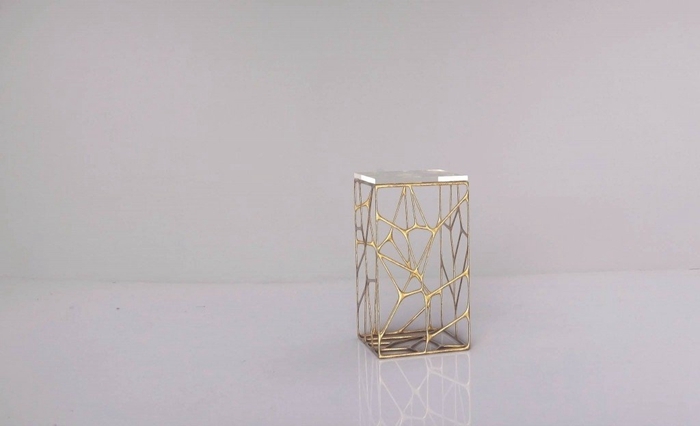 The entire collection is printed on a stereolitography 3D printer and cast in bronze. Emmanuel Tureyn, the chief manager and the owner of Ventury Paris, is directly involved in the creation of exclusive furniture. 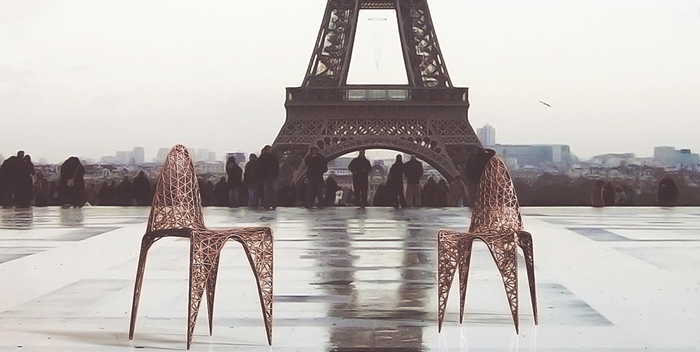 It was he who designed the Eiffel chairs that bring romantic memories of the iconic Parisian Tower. 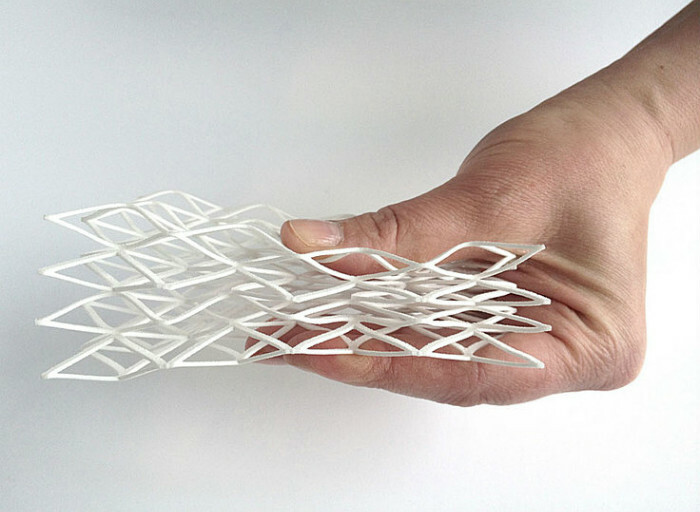 According to Emmanuel, making such complicated designs without 3D printing technologies would be just impossible. At first sight it may seem like this is an antique wood-carved console, which was just re-painted by a furniture restorer. 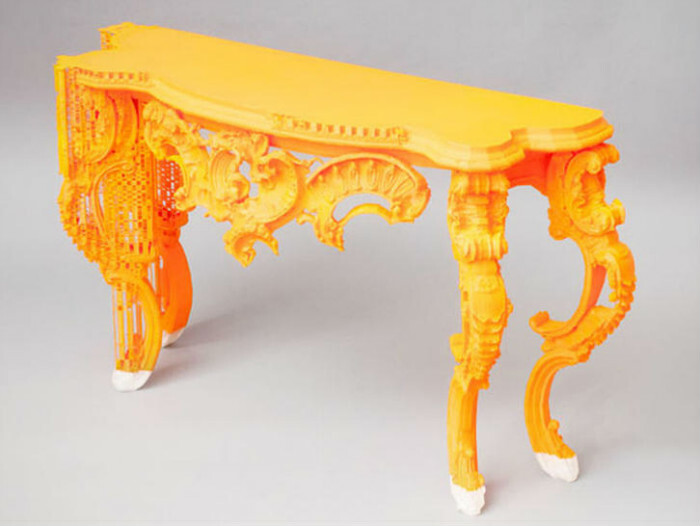 But in fact this piece of furnishing art was made on a 3D printer. Its spectacular look was obtained by the BigRep Company from Germany with the help of their unique large-scale printer dubbed BigRep One. 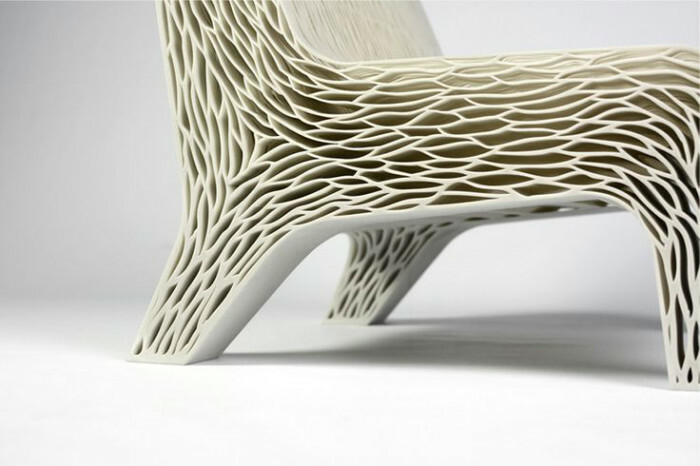 It’s able to print textured furniture of increased complexity. The raw materials used for its production are nylon, plastics and a special composition with wooden chips, which makes the final product look like a traditional wooden piece of furniture. 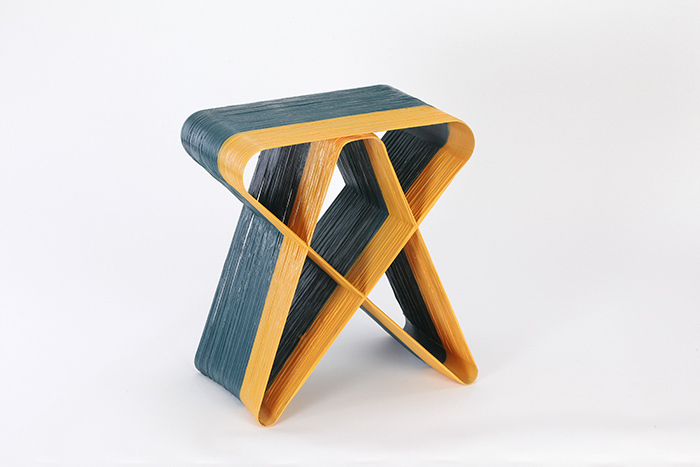 Can such a plain piece of interior as a stool be turned into an art object? Yes! 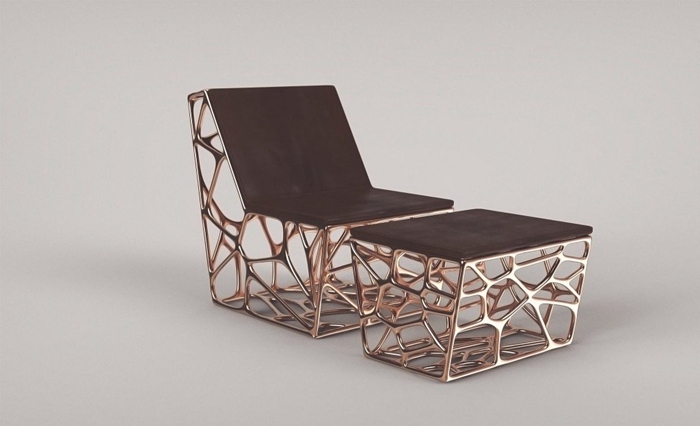 Andrey Grishko, an engineer from Israel, found an original way to add a touch of creativity to conventional furniture. 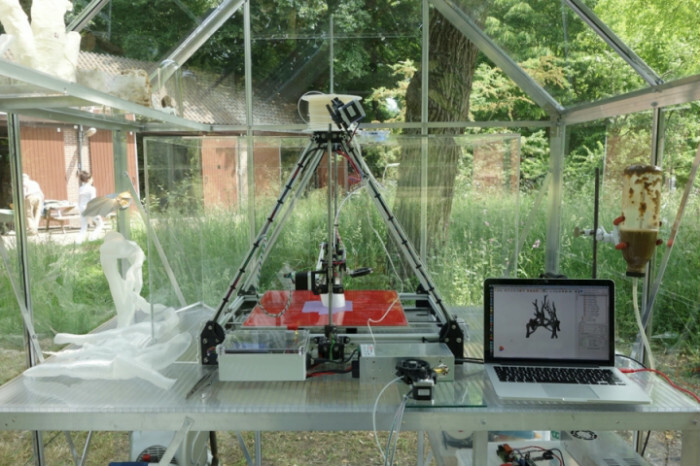 He invented a modified model of a 3D printer, which weaves with fiberglass threads. Primarily a thread passes through a glass filled with a mixture of a colorant and glue. The truth is that making two absolutely identical pieces of furniture using such technology is impossible, but in today’s world that is sooner a benefit, than a drawback – many people are striving to have a piece of furniture that would be one-of-a-kind.